I did not even own my Apple Pencil a full day before I found myself already looking for an Apple Pencil cap replacement. For such an innovative company, Apple still does some things that don’t make sense. The included Apple Pen cap which is magnetically attached, comes dislodged very easily. My cat knocked my Apple Pencil off the kitchen table while I was upstairs getting ready for work. When I came back down to the table for breakfast, the Apple Pencil was on the floor, but the cap was no where to be found. I searched and searched for it, and only found it hours after I had already researched new cap replacements on Amazon and found the Tranesca Aluminum Apple cap replacement in 3 colors for $8.95. Furthermore, it comes with an adapter which even secures the little lightening adapter to your charger’s adapter cable. Genius! Two products in one. Why couldn’t Apple have done this? This product is well made. These pencil caps were very nicely packaged with a professional Thank You card. Obviously, Tranesca is a company who cares and wants to satisfy their customers. The caps are well made and fit very snugly onto the Lightening Port of the Apple Pencil. The big bonus with this product is that Tranesca even includes an adapter for the lightening adapter; another small piece that is likely to get lost which Apple overlooked when they sold us their $100 Apple Pencils. While they are rather nice in appearance, my one small disappointment is that the aluminum up closes really looks as though it is spray-painted plastic. It does not have that ultra-glossy finish of a metal product. I’m being overly picky here. 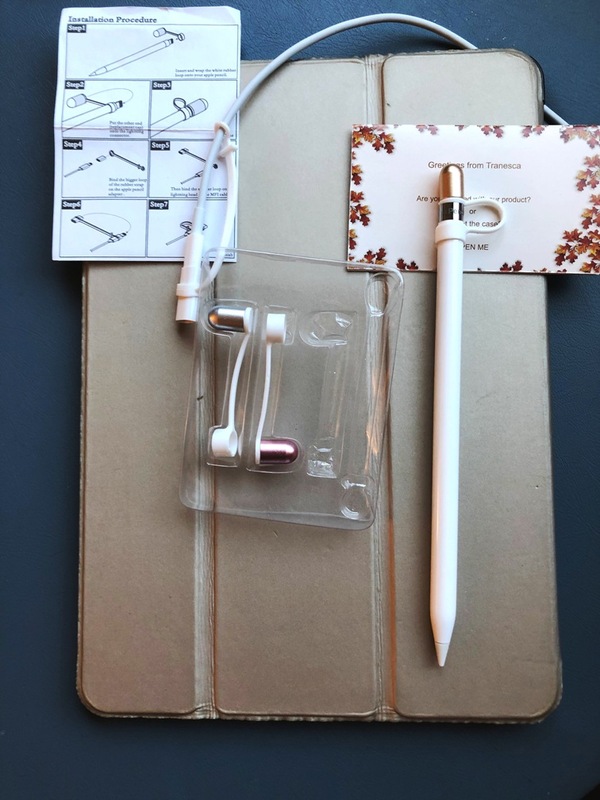 This Apple Pencil replacement cap which comes in a set of 3-different colors and serves two purposes in one will make you glad you lost your original Apple Pencil cap. Wondering how to dethatch a lawn without becoming inflicted with a sore back and blisters on your hands? Who isn’t? 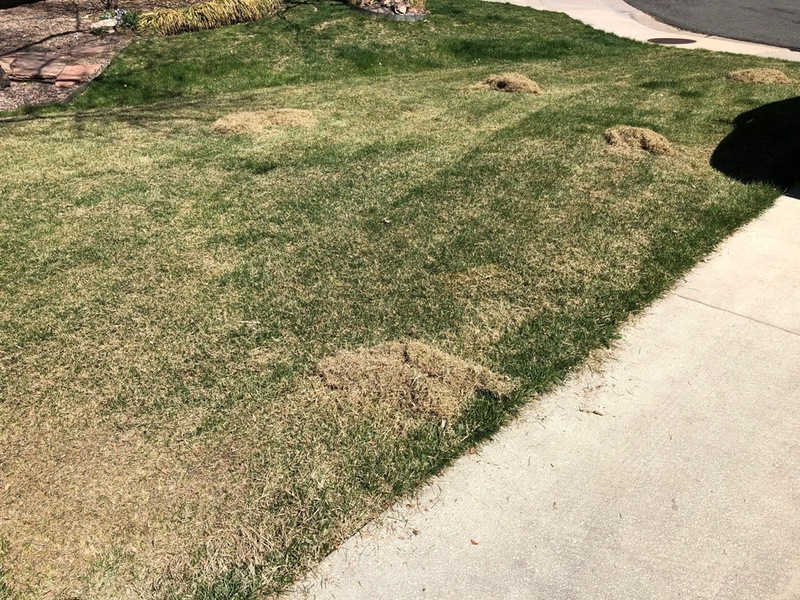 As much as I look forward to Spring time and the great, Colorado outdoors, I always dread the thought of dragging a rake through the lawn, pulling up thatch, and then bending over to bag it. Dethatching a lawn is not only a bit tiring, and hard on the back, arms, and hands, but it is a tedious process, especially if you have a huge lawn. Even with my medium-smallish, yard, I always wonder where to begin. Even a small yard has a lot of dethatching surface if you’re going to do it all by hand. 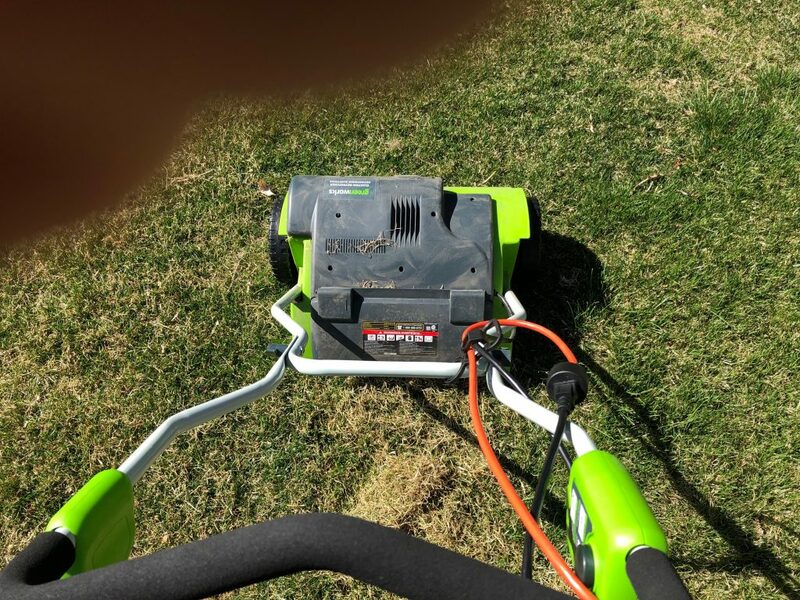 Since buying my Electric Kobalt Lawnmower 6 years ago, I am no longer able to use my inexpensive, Arnold Power Rake blade which I bought and reviewed here several years ago. Upon waking up one morning and realizing it was time to rake, I finally decided to look into an electric lawn dethatcher. 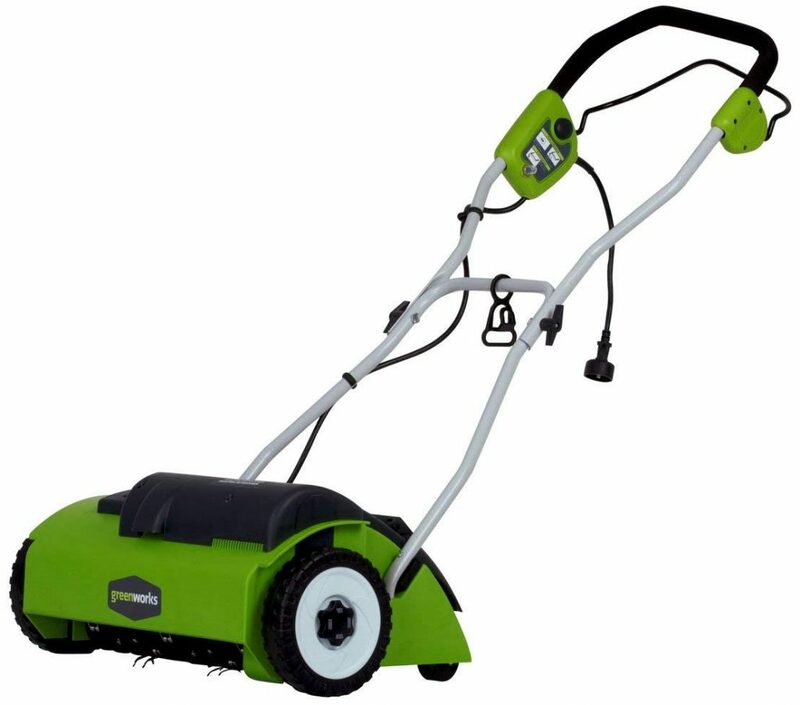 The Greenworks Dethatcher is a very light-weight, corded, electric lawn dethatcher. There are no blades to mess with from your lawn mower. It’s a stand-alone tool that does one job and one job only: Dethatches your yard. It comes with several, inch-long tines that rotate via an electric mower. There is no bag included, so keep in mind that you will still probably want a rake to rake-up the thatch in big piles or you can try using your mower with grass catcher to collect all the thatch. Upon first use I went over my entire lawn in a matter of minutes and was able to easily mow up the thatch into my grass catcher. However, I wondered if I had really done a good enough job dethatching. Though it seemed to I had only a half-bag of thatch. A week later I learned how to dethatch a lawn much more effectively with the Greenworks dethatcher. I will share it with you. The key to dethatching your yard properly is to go slow and take your time. The Greenworks dethatcher, in fact, is very effective at pulling up the thatch if you focus on going over areas slowly, and spending more time on dry, heavily thatched areas that need more attention. You can also gently back-up, then go back and forth over an area several times. You will quickly notice the thatch piles up the most where it is most heavily thatched. Though the cord is a bit of a nuisance at first, I learned to route the cord to one side of where the job is and work away from it. It helps to do a lawn in two or three sections, so the cord is out of the way. You’ll notice from the picture that there are nice piles of thatch after the job was finished. The thatch shown here is after raking it into small piles. Only light raking was required. The job, overall, takes much less time and effort than raking by hand. My front yard shown here is very thin. I never get anymore thatch than this when I spend the extra time and effort doing the back-breaking work of hand-raking. I think dethatching the yard this way did a much more thorough job especially after doing a second run a week later. One of the benefits is that you won’t mind doing it again if you have to. It’s really pretty easy. When I began looking for the best bluetooth earbuds under 50 dollars my expectations were not for the very best sound. I set my price point at $50.00 knowing that I could have gotten better quality sound had I spent $199.99 for either the Apple AirPods, or the Bose SoundSport Free Wireless, but price went way beyond my budget and means. My main objective wasn’t sound quality as much as freedom from all of the wires. I use earbuds when I workout on the Elliptical or when I practice my Spanish with Duolingo. My goal was freedom from wires and sound quality as good as equal to the original Apple Earbuds which sell for $29.99. With the Tanya Bluetooth Earbuds I believe I accomplished both of those objectives. After a few days of setting up and using them here are my initial impressions of these economically priced wireless earbuds by Tranya. Upon opening up the little box I was impressed with the nice packaging, attractive appearance, feel, and quality of the charging case. The charging case can be charged with or without earbuds attached via a USB port and adapter. The Earbuds are then charged by simply dropping them into the magnetic slots. The left and right each have their own shape to snugly and magnetically fit inside. Like all electronically charged devices, I could not find any instructions on how long it takes to charge these wireless earbuds or case. The directions do explain that the case is fully charged when the 3 lights at the bottom are all lit in solid green. When the earbuds are flashing read it means they still need a charge. Battery life of the earbuds is rated at 6-8 hours, but I have yet to go close to that many hours at once to test the accuracy of that claim. Pairing the earbuds was a breeze. By pressing on the earbuds the first time, they are powered on. Then, you go into your Bluetooth settings of your mobile device and choose T2-R. You are paired. That simple! Inside the box are a variety of different earbud plugs you can slip on and off to more comfortable fit the size and shape of your ear. However, there is more here than meets the eye or ‘ear’ as I shall explain in the Sound Quality section below. The earbuds have, in my opinion, very logical ways of controlling them: One press of either earbud will pause your music. Two presses on the left lowers the volume, two presses on the right raises it. Holding the power of either earbud for two seconds will skip to the next track. Triple-pressing either earbud will turn on the voice assistant for use with Siri or other device enabled voice control systems. One thing to know: If you want to use the bluetooth wireless earbuds on another device, you will have to disable the bluetooth connection on the one you were previously using. This is something to keep in mind if you’re having trouble pairing. Some of the reviews on Amazon have complained that the earbuds hurt inside their ear. I find them softer and less harsh on the insides of my ears than the original Apple earpods. Also, I think they fit more snugly inside the ear with a simple twist and there is no worries about a cumbersome cord getting pulled by your elbow or arm. In short, they fit more securely than the wired earpods. I can work-out on the Elliptical without worrying about them falling out. That’s good enough for me. The real test, though, is would they pass my sound requirement of being as good or better sound quality than the original apple buds? I have always thought Apple’s Earpods were pretty good compared to other cheap earbuds. When I first powered on the Tranya wireless ear headphones I immediately noticed they weren’t as loud as my Apple Earpods. This is an okay thing. I would never listen to then turned up all the way, anyway. My first and (now) lasting impression of these bluetooth wireless earbuds is that they most certainly do have better bass than the Apple. In fact, the sounds; treble, mid-range are fuller, cleaner, tighter and better all-around. When I went back to the Apple iPhone earbuds I immediately noticed they are not as clear and concise. In fact, they sound a bit muffled and boxy. While trying on the inferior Apple iPhone buds, I tried on a smaller, diameter earbud fitting for the Tranya before I placed them back on. At this point I knew one thing for sure: The best bluetooth earbuds under 50 bucks are not made by Apple. I immediately grabbed for a smaller pair of fittings for the Tranya as pictured above and put them back on. Here’s the big discovery: What happened to the bass? Lots of treble; good, sharp, crisp highs, but thinner mid ranges and a woeful lack of bass. Aha! The fittings are more than just for ear comfort. I went back to the original, bigger fittings and life was good once again. These are great sounding earbuds. Very good bass, though hip-hoppers might want more. Drums, highs, mids all sound superior to what I was used to. I highly recommend the Tranya Bluetooth 5.0 Deep Bass True Wireless Earbuds. While I have not tried them all, I believe these are as good as any if not the best, bluetooth earbuds under 50 bucks. 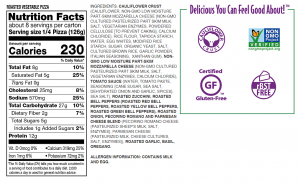 This is the flavor that I get from my local Costco store. It is topped with mozzarella, provolone, Romano, and Parmesan cheeses, plus tomatoes and basil. What I usually do is add my own pepperoni, sausage, or other meat topping. I have not tried this one, but it sounds close to being equally delicious. The toppings are roasted zucchini, red & yellow bell peppers, onions, and a blend of 3 cheeses; mozzarella, Romano, and Parmesan. My personal hunch is that I’d rather stick with the Margherita. I don’t mind sauteing my own bell peppers and toppings. If you’re on a strict, paleo diet than the answer is no. 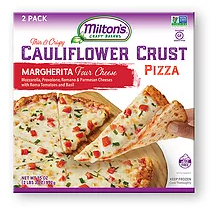 If you look at the full list of ingredients, you will see that Milton’s crust includes rice flour, rice starch, and brown rice; all which are grains. 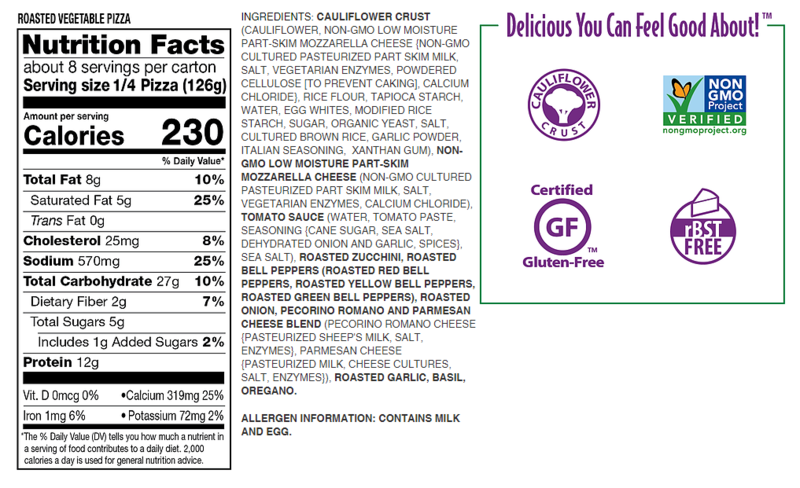 However, if you’re only concern is to avoid gluten and wheat flour, then you’ve gotta give Milton’s frozen pizza a try. You can pay good money for Oral B toothbrush heads or you can go with a non-Oral B, compatible brand and save good money. Which is the way to go? That is the question I will answer in this review. I absolutely love our Oral B Professional Care toothbrush. What I didn’t like was paying so much for the genuine-brand, Oral B toothbrush heads. We’ve been paying about $40.00 for an 8-Pack of the genuine, Oral B Toothbrush heads brand at Costco. Some quick division (40 / 8) reveals that we are paying $5.00 for just one, little toothbrush head. Even name-brand toothbrushes are less than $2.00 each at your grocery or department store. Actually, you can buy regular toothbrushes on Amazon for 0.73 cents each. So, I think we can agree the profit mark-up must be pretty high on all toothbrushes, whether they are for the Oral B electric or just not. Granted, the Oral B toothbrush head has a little more complexity to it due to the mechanics required by the electric, toothbrush motor. Still $5.00 is too much for a toothbrush that really should be replaced every month. I got to thinking, there has to be a cheaper brush and I was right. 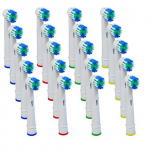 At Amazon, you can buy an entire 20-Pack of Oral B Compatible Toothbrushes for around $15.00. Doing the math once again ($15.00 /20), That comes out to just $0.75 cents per toothbrush head! That represents a savings of over 650% ($5.00 /$0 .75) . Yes, the generic Oral-B heads from Amazon are less than 1/6th the price of the genuine toothbrush heads. That kind of savings is worth looking into. The next question is, are they as good as the real thing?